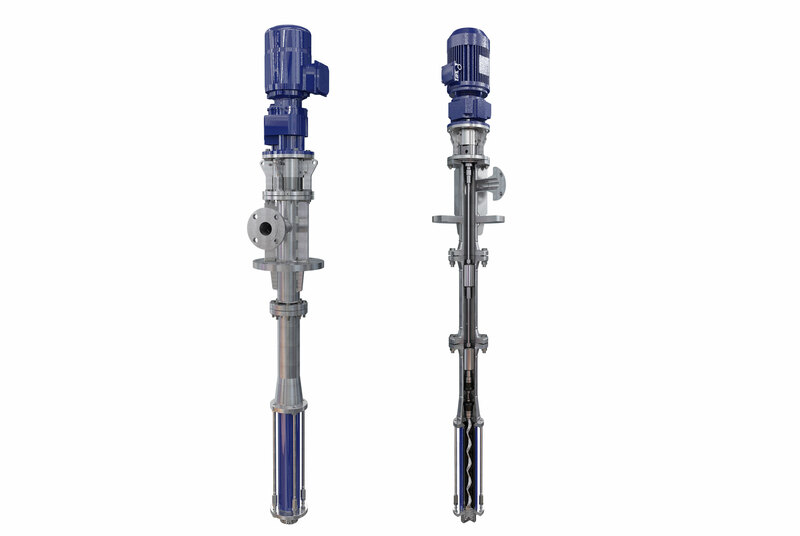 The PCM Moineau™ AV vertical progressing cavity pump is the ideal solution for upstream and downstream oil & gas applications within onshore and offshore facilities. It combines API standards with our unrivalled industry expertise. PCM Moineau™ AV vertical API pumps are designed for installation directly into a tank, pit, vessel or drum and offer exceptional opportunities to save space, simplify your system, and minimise associated capital equipment costs. Installing a PCM Moineau™ AV vertical pump directly into the fluid source eliminates upstream pressure losses, maximising the Net Positive Suction Head (NPSH). Material certification to EN10204 for pressure wetted metallic parts. NACE certification for sour service. API inspection & testing options; performance, hydrostatic, NPSH, noise and vibration. Multiple options for a wide variety of applications, including carbon steel, stainless steel, and corrosion resistant alloys. Hardwearing chromium plated rotors for low friction and abrasion resistance. A range of elastomer stators, formulated by PCM elastomer experts in our state of the art laboratory, and manufactured in house.